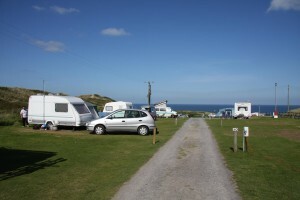 Touring caravan holidays in Cornwall are one of our specialities at Beachside. Set near the heart of Beachside Holiday Park, our touring caravan pitches in St Ives Bay, Cornwall are just a short walk from the sandy sea shore. Each touring pitch has access to an electric hook-up facility to provide an uninterrupted power supply to your caravan or tent. Our touring caravan holiday pitches are conveniently placed for our up-to-date campsite amenities, which consist of temperature-adjustable hot showers, wash basins, WCs and an indoor dish washing room, along with a chemical toilet disposal and motorhome service point. All touring pitches can be booked in advance of your stay and include use of onsite holiday park facilities, such as our heated outdoor swimming pool, shop, bar and games room. Our touring pitches are suitable for caravans, motorhomes or tents up to 4 x 7m (excluding awning). Bookings during peak season (school holidays) are from Saturday to Saturday only. We welcome part week bookings outside these periods and these are bookable online. The hire charge for our pitches includes 4 persons and one car. A maximum of one caravan or one tent is allowed per pitch. Awnings and pup tents can be used free of charge. 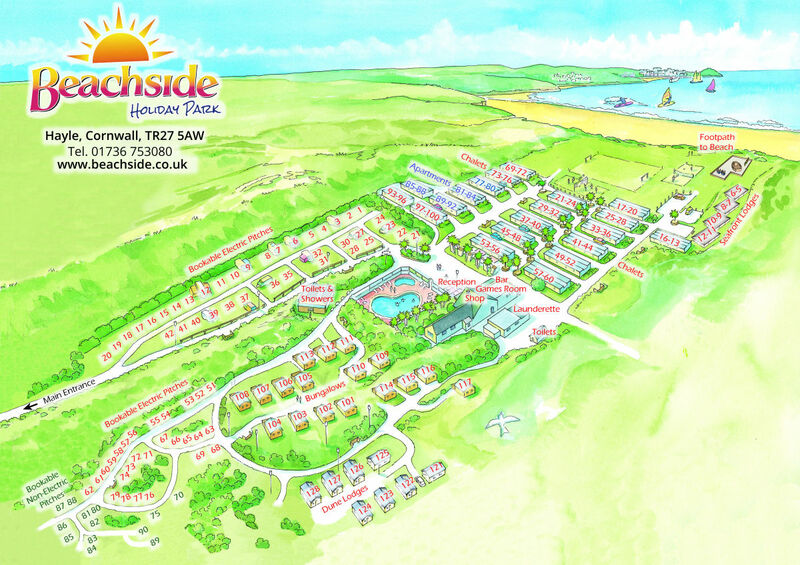 As a dog-free holiday park, Beachside Holiday Park provides a safe and relaxing camping environment perfect for families and couples. Short walk from the idealistic sandy shore of St Ives Bay. uninterrupted power supply to your caravan or tent. 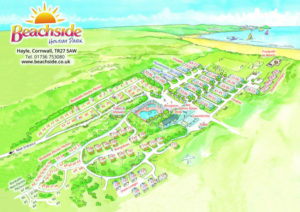 Includes access to our wash facilities. Other facilities we offer are available, such as our outdoor heated swimming pool, shop, bar and games room.